Shouldn't you be in the Ki Gondola that is unloading at the peak of Killington? Ready for a cruise down the Canyons, or the bump run of your life through the trees in Julio? Don't miss the experience of skiing or riding at Killington Vermont! Plan your Vermont winter vacation now through the Birch Ridge Inn. From wide, fast cruisers, to tight bump runs, the mountain terrain at Killington can challenge skiers and riders of all abilities. Let the Birch ridge inn be your home away from home during your next winter vacation. 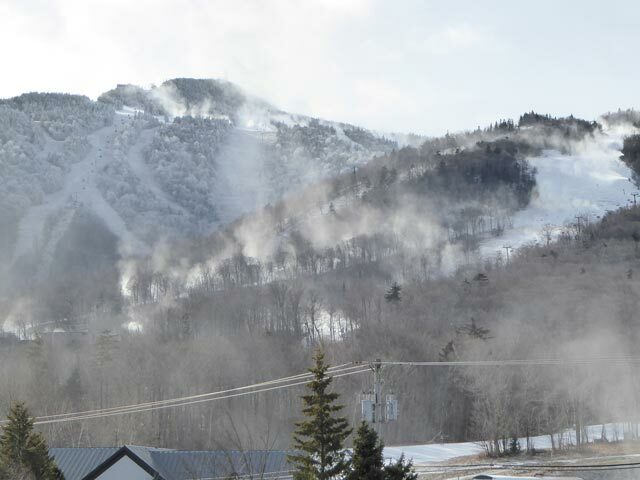 The Killington Resort provides "Snow You Can Count On" through their extensive snow making system. With over 88 miles of snowmaking pipe, 1700 snow guns, and the ability to cover up to 80 acres of terrain with a foot of fresh snow every hour when conditions allow, your Killington winter vacation on the snow is all but assured to have great conditions. Planning your ski vacation is easy. Start by using our online Ski Package Calculator to help you cost out your ski vacation. When you have planned your package out, click the "Make Room Reservation" button on the bottom of the Ski Package Calculator it it will take you to the Birch Ridge Inn's online reservation system. Fill in your contact information, select your room and ski package options, and book your package. It's that easy. Do it now. 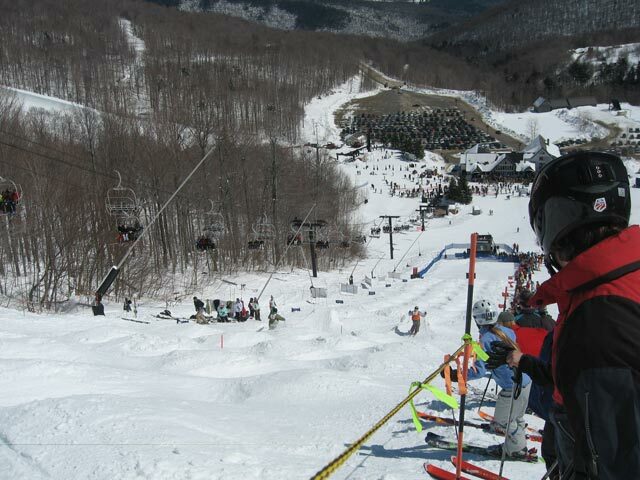 Bear Mountain Mogul Challenge. A Killington tradition. "The" ski party for spring in New England. Once we have received your lodging reservation, we will contact you to confirm your reservation , and help you finalize your ski vacation. Bill and Mary can help you get ski tickets, rent equipment, make dinner reservations....Anything you need to help make your Killington Ski Vacation perfect. Of course, you can also call the Birch Ridge Inn at 800-435-8566 or 802-422-4293 and speak directly to the innkeepers to book your ski vacation if you prefer.